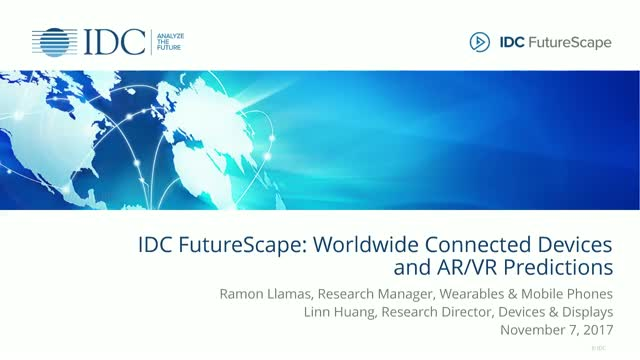 In this IDC FutureScape presentation, IDC's Tom Mainelli and Ramon Llamas will discuss the key predictions that will impact the consumer devices and AR/VR markets over the next one to three years. Senior IT leaders and line-of-business executives will come away with guidance for managing the implications these predictions harbor for their IT investment priorities and implementation strategies. How to build a Digital Octopus vertical strategy to handle multiple use cases and emerging technologies?